Tastes from the Ottawa Valley in every bite. 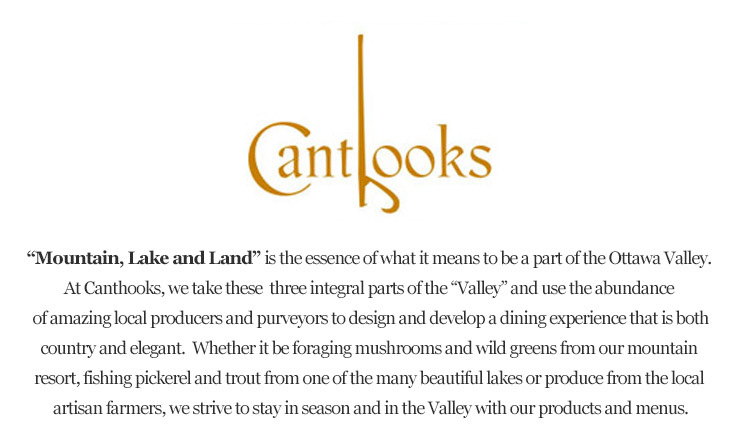 Drop into Canthooks, the best local restaurant in the Ottawa Valley for a meal you will remember. Open daily for breakfast, lunch and dinner, indulge your taste buds with flavourful dishes created by our talented culinary team. Enjoy the best flavours of our local food which in turn supports the local economy and Ontario grown food and drink. Get out with the girls for lunch or tuck in for a romantic dinner for two near the glow of the fireplace. 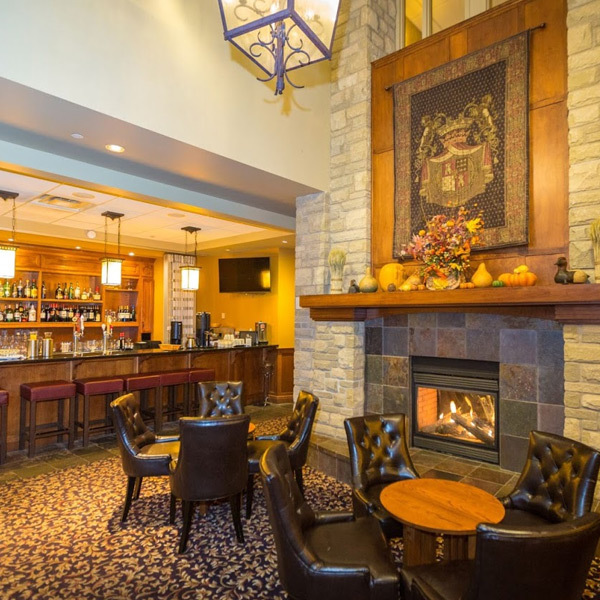 Lodge mountainside and enjoy our hotel special “Stay and Dine” or pop in for a craft beverage in our restaurant lounge and revive yourself after an adventure at the Peaks. 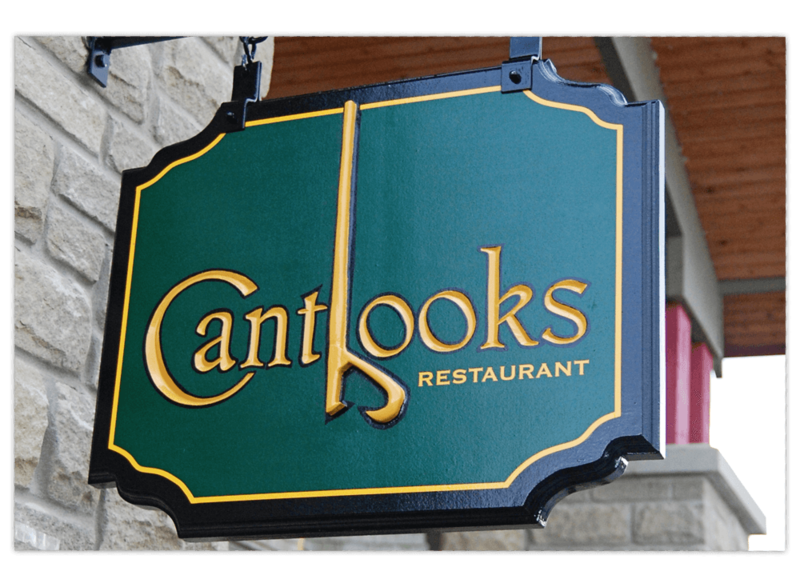 Canthooks Restaurant is located in the Calabogie Peaks Hotel and is recognized as a certified Feast On location in Ontario. Calabogie Peaks Resort is pleased to provide off-site catering services within our local area. Chefs Table Dinner Celebrating a birthday we booked a Chefs Table Dinner. Food was prepared by Chef Tristan and was amazing. Started with a goat cheese course with fresh farm vegetables and sumac gel, followed by fresh house made pasta with braised lamb, main course was family style plated beef strip loin, braised fennel, roast potatoes and beef jus. FinIshed off with an assortment of desserts which included creme brulee made with wildflower honey from their own hives, sticky toffee pudding fresh berries and cream. Chef Tristan explains each course as it is served. Wonderful evening thank you Chef and our server Nancy. 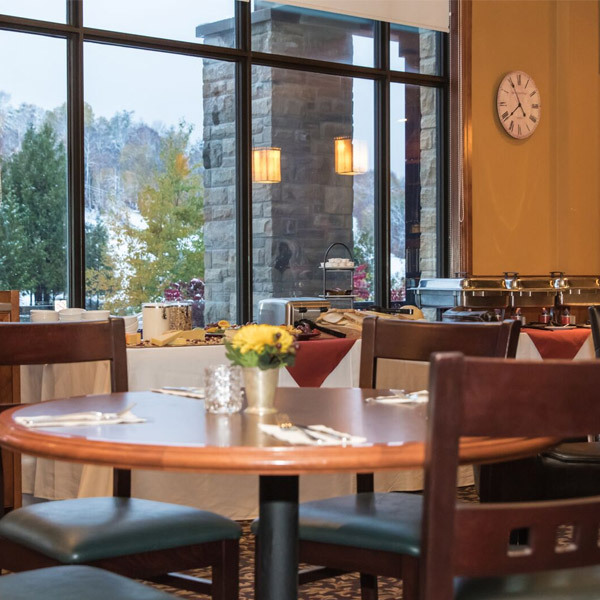 Calabogie Peaks Resort is the perfect getaway for an adventure in any season, with fine dining, luxurious comfort, and plenty to discover around the Mountain, Lake and Land.